It's our first Intermission! During Intermission weeks, we'll take a single movie and discuss it. Typically a "classic" movie, and typically one that most of us hadn't seen before. 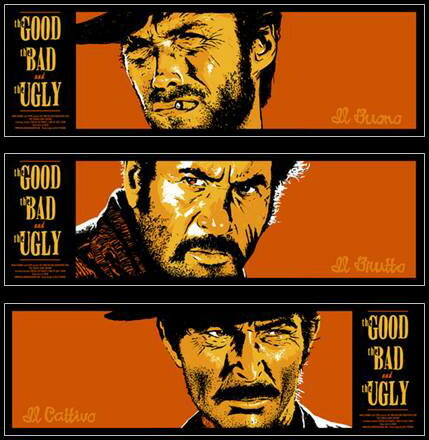 This week we start with a foreign film: The Good, The Bad and The Ugly. Did you know it was foreign? Filmed in Spain by an Italian director, with actors from all over, each actor performed in his native language, and all dialogue was dubbed for each country where it was released. 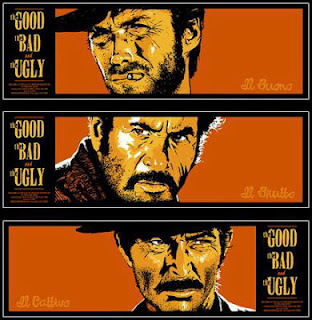 This is the third and final film Clint Eastwood made with director Sergio Leone; Eastwood had grown tired of Leone's temperament and the perfectionist long shooting days, turning down a fourth film a year later, which went to Charles Bronson (1968's Once Upon A Time in the West). Anyway, we spend some time now discussing the film. If you haven't seen it yet, it's not too late; give it a view, and come back to listen. Or, just listen and decide if you want to watch it. But, we think it's safe to say that anyone in our particular audience won't regret watching it. Enjoy!